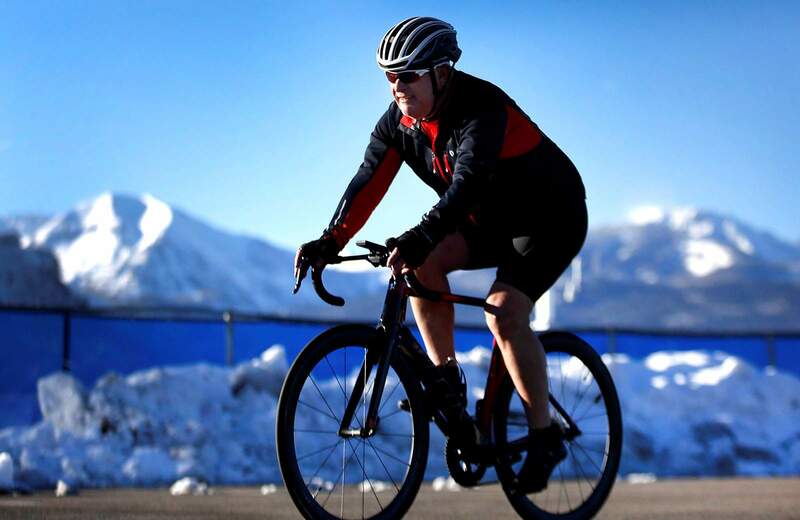 Scott Beckstead of Durango was selected to coach the Special Olympics cycling team attending the summer World Games in Abu Dhabi during March. The event will mark the first time games have been held in the Middle East/North Africa region. Scott Beckstead said interest in cycling in Durango has waxed and waned among athletes with disabilities. At the height of interest, he said there were about 10 cyclists. Last year, there were three. Special Olympic athlete Jack Wickam and coach Scott Beckstead celebrate at the end of the Quarter Horse Race in May 2016. Mollie Hanson didn’t know how to shift gears on a bike when she started cycling last year with Special Olympics Coach Scott Beckstead. But after months of training she went on to win first and third place in two cycling events at a state competition. “It’s hard work. But I really, really like it,” she said. Hanson is one of more than 75 athletes Beckstead has coached during his 24 years as a volunteer with the Special Olympics. It is the success of athletes with intellectual disabilities and sometimes physical challenges that has kept Beckstead dedicated to the organization, he said. “It’s the joy the athletes give me, watching them be happy,” he said. The Special Olympics is a global organization founded in 1968 for those with intellectual disabilities. It offers year-round athletic programs such as basketball, softball and volleyball. Beckstead, 57, was recruited as a coach for the Special Olympics when it began to offer programming in the Durango area in 1994. At the time, he was a volunteer for Durango’s Adaptive Sports Association. 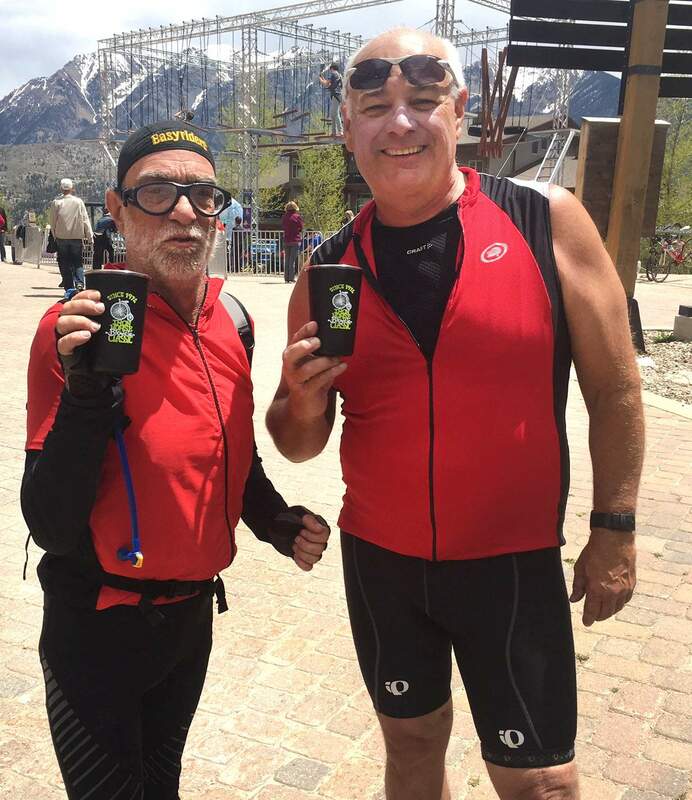 Beckstead, a finance and IT manager in Durango, coaches several sports in the Special Olympics, including volleyball and basketball, but it is cycling that he is most passionate about because he loves the sport. In March, he will attend the summer World Games in Abu Dhabi, the capital of the United Arab Emirates, as an assistant cycling coach. It is his fourth trip to the games, which are held every other year and draw thousands of competitors. The team will include five cyclists who won gold at their state competitions in Colorado, Indiana, Maryland, Texas and Alabama. Beckstead was selected as a coach for the team because of his extensive experience working with Special Olympic athletes and his ability to work with students who have different levels of understanding. Explaining skills to athletes is an ability that took him a while to develop because he had a tendency to use highly technical terms, he said. In one of Beckstead’s previous trips to the Special Olympics World Games in 2001 in Anchorage, Alaska, he assisted the Japanese alpine ski team and provided team members with their first shaped skis. The team was challenged by cold, foggy weather and the new gear, but they did well on the day of competition, he said. During his first year as a coach, one of his athletes was racing a 10K on a hot day in August and was struggling to finish several laps by herself. So Beckstead jumped in and rode alongside her before allowing her to finish by herself. “The whole crowd of athletes and spectators and parents and coaches gave her a roaring ovation. Since she was alone, it was all for her and she knew it,” he said. In another memorable case, one of his athletes had a seizure 30 minutes before a race and still had a perfect ride. Beckstead said interest in cycling in Durango has waxed and waned among athletes with disabilities. At the height of interest, he said there were about 10 cyclists; last year, there were three. 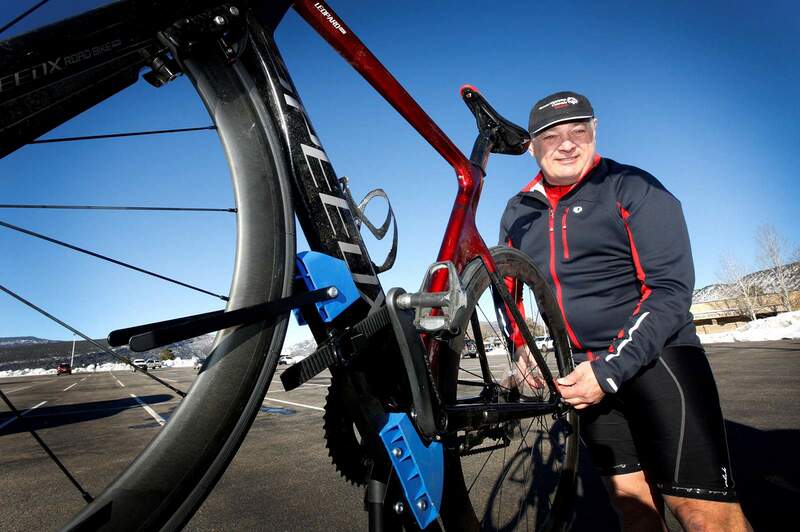 Jack Wickam, 60, who has raced with Beckstead since the 1990s, said he appreciates that his coach listens when an athlete has something to say. Wickam recruited Hanson, who learned to use her gears last year. Hanson said she still feels like she has a lot to learn, but she appreciates that Beckstead doesn’t rush her. She also found him to have a good sense of humor. “I had a great experience,” she said.